*ACP/CMA First Place Award for "Best of Show"
Click the thumbnails to see the print layout or here to see the full issue. 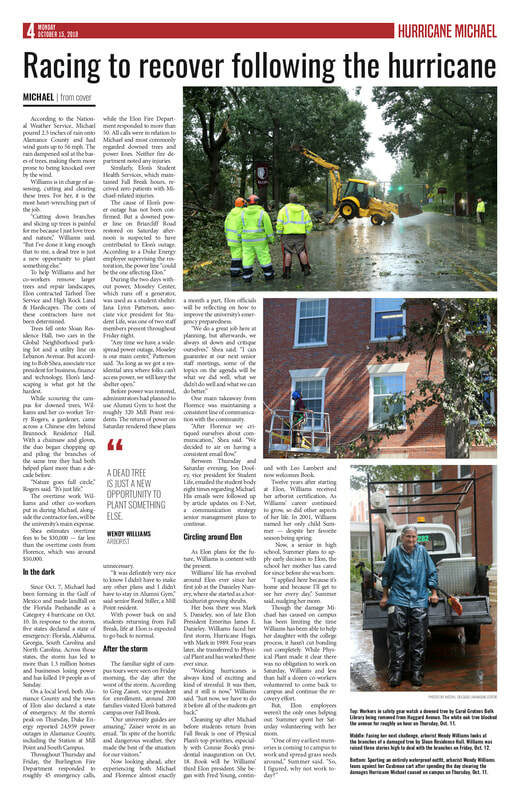 On the first full day of Fall Break, rains and winds from Tropical Storm Michael wreaked havoc on Elon University. Alamance County declared a state of emergency... Click​ here to read more. 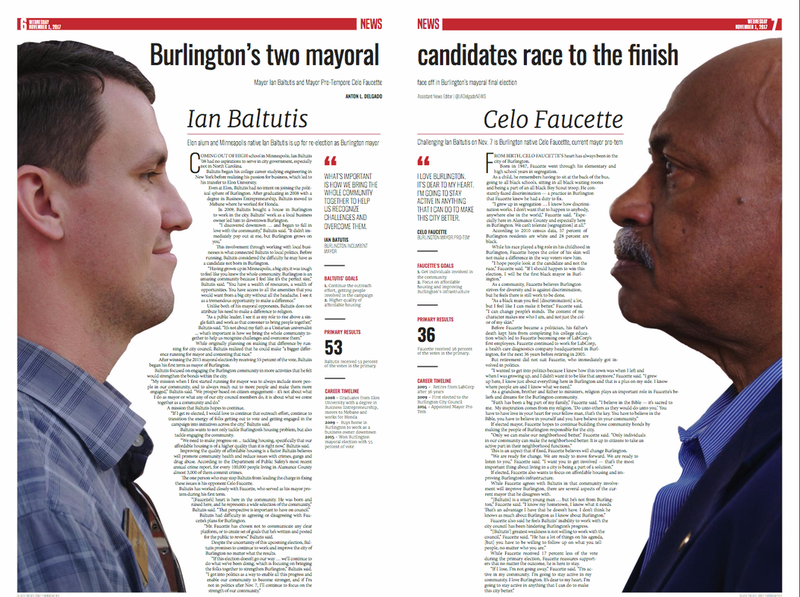 BURLINGTON — Ian Baltutis has been elected as the mayor of Burlington for his second term in office. The Alamance County Board of Elections announced Baltutis' victory... Click here to read more and here for the long-form coverage. Click the thumbnails to see the print layout and here to see the full issue. BURLINGTON — After seven years in operation, the Company Shops Market: Burlington's Food Co-Op has announced this week that it will officially close on Sunday, May 27... Click ​here to read more. 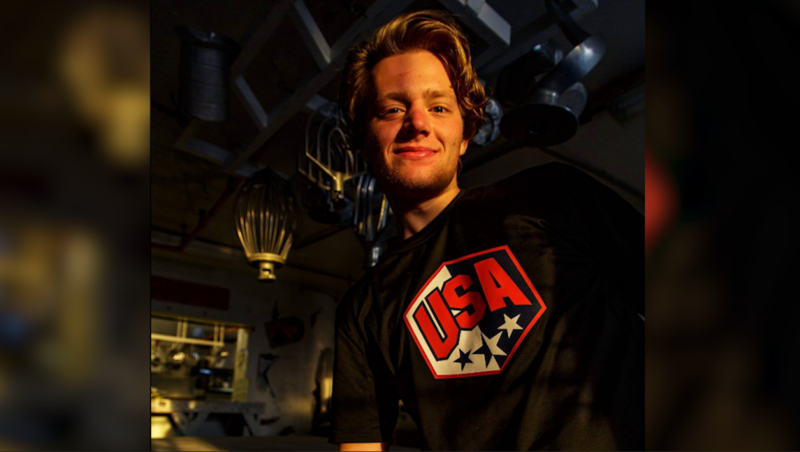 Elon University senior Harrison Pearce Durant, 23, has died. Town of Elon Police were called at 10:43 a.m. to his off-campus home... Click here to read more and here for the long-form coverage. ​Elon University junior Breslin Thomas Wiley, 21, died Saturday morning. He was found at his off-campus home in the Town of Elon... Click here to read more.